A fifth season of the award winning drama is on the way. “Downton Abbey,” the Emmy® and Golden Globe® award-winning drama hailed by The Hollywood Reporter as “an absolute pleasure to watch,” will return to Masterpiece on PBS for a fifth season. “Downton Abbey, Season 4″ recently completed its run in the UK, where it drew 11.8 million average viewers – making it Britain’s highest-rated television drama in 2013. Earlier this year, more than 24 million viewers watched the third season of the series in the U.S., making it the most-watched drama in PBS history. 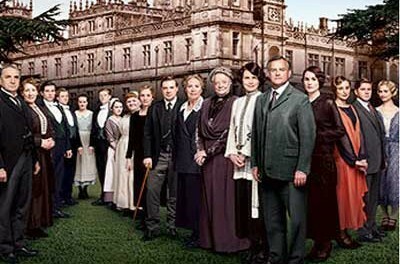 “Downton Abbey, Season 4″ will air on MASTERPIECE Sundays, January 5 through February 23 on PBS. Time to infuse a little period costume drama into your life?